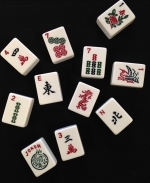 Drop in Mahjongg. We play America Mahjongg. Don't know how to play? Don't worry, we'll teach you.